The Fish Truck from Stock My Pond (www.stockmypond.com) is scheduled to visit Mansfield Feed Mill on Friday, November 15th from 4:00 – 5:00 pm. 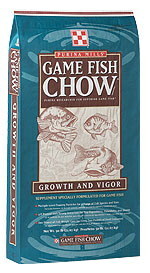 If you buy fish, come in the store to get $1 off of Game Fish Chow. Containers furnished, but bring your ice chest with your own pond water for bigger fish. No pre-orders necessary. Fish are guaranteed. This entry was posted on Thursday, November 7th, 2013 at 8:26 am	and is filed under Events, News & Updates. You can follow any responses to this entry through the RSS 2.0 feed. Both comments and pings are currently closed.